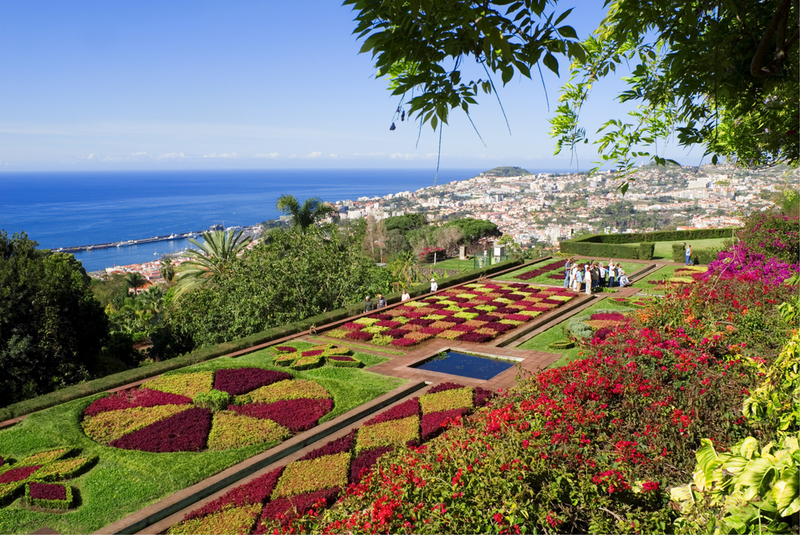 Travel by cruise ship to some of the finest gardens in the world. Here’s our Top 10. The house at Giverny sails on a froth of white lilies, daisies and roses, rising above a sea of exuberant planting rather like a cruise ship on the ocean. 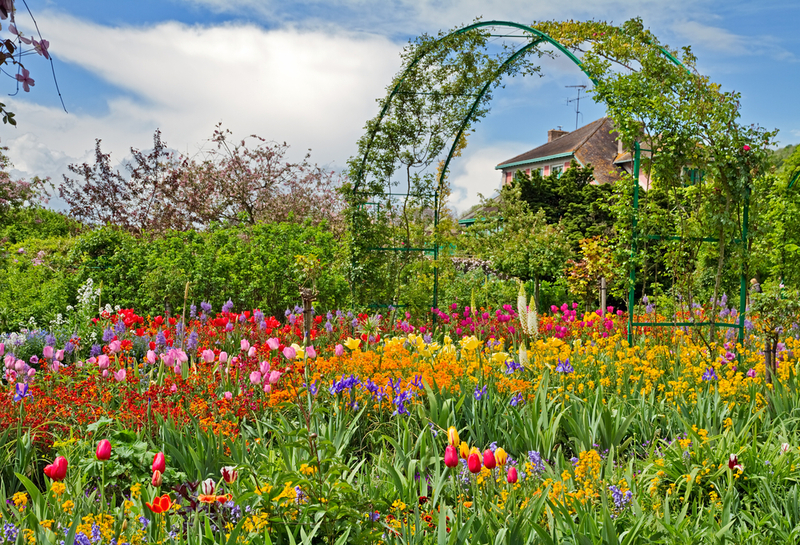 The most famous of the Impressionists’ gardens is living proof of Monet’s painterly plants manship where the spirit of his earthly canvas is now painstakingly overseen by English head gardener James Priest. Art-loving James uses softer shades around the house while a ‘grille’ of rectangular beds in a giddying kaleidoscope of colour runs down from the property. It is here James tries ‘to get closer to Monet’, co-ordinating colours the artist loved, balancing the pinks and yellows, oranges and reds to harness the morning sunlight through to catching the evening glow – just as the Impressionists’ guiding principle was to capture the light. James, 57, has lived in France since leaving Kew in 1986. He said: “I am more French than English but understanding Monet and what he did here is like a puzzle, like solving a crime. I draw the garden on paper knowing he only used harmonious colours and try to take the garden back to his time. “There was always a touch of yellow and perhaps a hint of purple to highlight the main planting. You never really notice those small those points, but they set it all off. “Monet lived here for 43 years and while we have some evidence of the planting we do not have a complete archive. We also have to please the hundreds of thousands of visitors who expect colour from April to October – so sometimes we add a little licence but only ever planting along the lines of what we know Monet loved. Monet’s Japanese-style water garden, which in contrast to the effervescent main garden, has a serene, reflective beauty where the water-lily pond is a mirror for the sky from which the wisteria and weeping willow tumble. Banking heiress Beatrice Ephrussi de Rothschild made her gardeners wear berets with a red pom-pom so she could see they were working on her 17-acre estate. 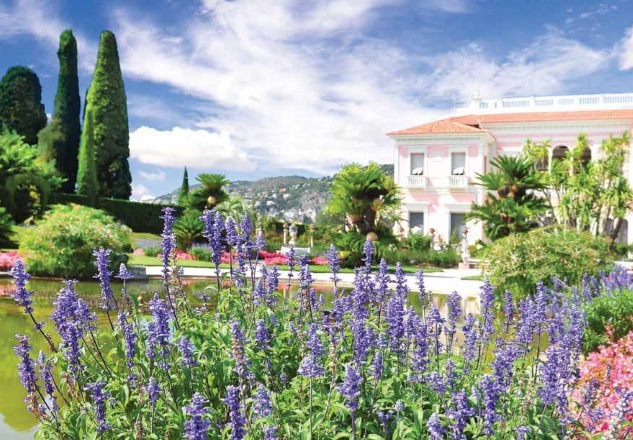 At its height, the Rothschild family possessed the largest private fortune in modern history so when Beatrice built her coral pink villa between 1905 and 1912 she indulged in every whim – even slicing off the top of the cliff at Saint-Jean-Cap-Ferrat to create a garden in the shape of a cruise liner sailing into the Cote d’Azur. The sea views through the cypresses are unparalleled and guests will find deck upon deck of giddying planting that is surely even more fragrant and spectacularly flamboyant than Beatrice could have dreamed. Alhambra Palace, in Granada, is now Tourist Central so be prepared to ignore the crowds in order to imagine the once oasis of peace while grasping the symbolism and poetry in the decorative motifs. Picture a sultan sitting in the shadows while his guests make their way through a myriad of gardens, passing carpet-like flower beds and carved marble pillars creating a forest of shadows. Every courtyard is criss-crossed by water, reflecting the sun onto ornate carvings like crystals – all that might be missing is a flying carpet to complete the magic. The ship! 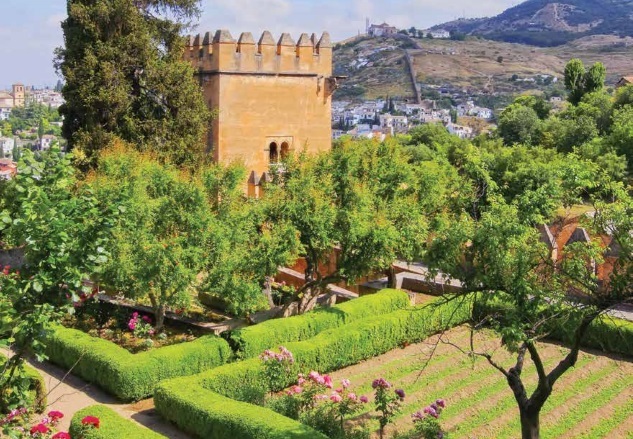 Alhambra Palace is about two hours’ drive from Malaga and the roads can be busy. A ship’s tour is the safest option for this visit. Garden design and history disciples who want to see a garden of perfect proportions should head to Villa Lante. Built in the 1560s as a summer residence for Cardinale Gambara, it is all water cascades, formal parterres and statues, displaying the mannerism phase of Italian Renaissance at its most refined. Every aspect of the garden is richly detailed from a square terrace subdivided into smaller squares, to a water parterre and central fountain. Nature has been tamed. Against the faded glory of an 18th-century palace, formal geometric box parterres and fountains give way to open spaces where, on balmy evenings, visitors once danced on chamomile lawns or went boating on mirrored water in the Tiled Canal while an orchestra played. Echoes of the Portuguese royal family’s former exotic playground can still be felt and under the Robillion Pavilion are wild animal cages where lionesses, tigers and monkeys were kept to impress visitors. Scent and colour of the orange groves. Croatian nobleman Ivan Gucetic Gozze’s summer residence, on the outskirts of Dubrovnik, was the cultural hub of the city in the 1490s and when entertaining merchants and philosophers he asked them to bring back plants from their travels. 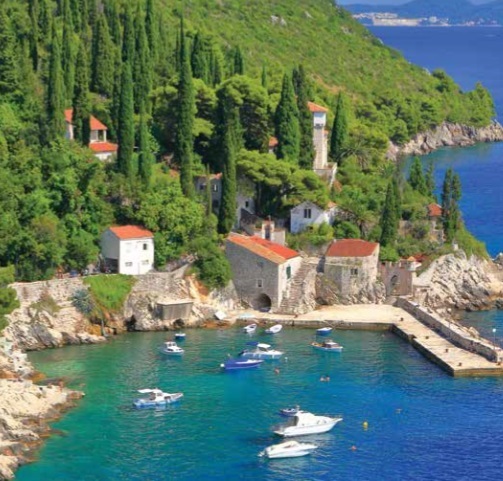 Ships returning to Dubrovnik would bring riches from newly discovered continents. Two of the world’s tallest trees, Oriental Plane, mark the entrance. In early summer, fragrant jasmine and wisteria clothe the walls of Trsteno villa while roses chase grapevine swags which hang between pergola pillars. The perfume trail runs through the orchards where grapefruit, mandarin, pomegranate and lemon trees exist side by side. Myrtle, carob, walnut, fig and almond trees are scattered through wilder areas of the garden and herbs grow like weeds. Try wrapping your arms around the Oriental Plane trees! Old favourites fill the borders at Lystigardur Botanic Garden at Akureyri, in the north of Iceland. Sheltered by mountains, the phlox, campanulas, asters and hollyhocks can be enjoyed until 10pm where, 60 miles south of the Arctic Circle, Icelanders take advantage of the long days. It’s more park than garden; children splash in the fountain and play hide ‘n’ seek along the paths, while the café is a popular meeting place for locals. No admission fee and it is within walking distance of the port. Walk along any main road in Madeira to see the avenues of Jacaranda trees with pale purple blooms. The Botanical Garden, the Monte Palace Garden, an orchid nursery and Reid’s Hotel (if you book afternoon tea) can just about be fitted into a day. At the botanical garden visitors will recognise the green and red patchwork seen in every brochure (and here). Monte Palace Tropical Garden was created after its owner Jose Berardo visited Japan and China and was so charmed that he wanted to reflect the countries’ beauty and culture himself. Blue poppies sway in the soft breeze welcoming visitors to the most surprising garden in the world, 200 miles inside the Arctic Circle. Brighter than huskies’ ice-blue eyes but paler than Tromso’s bright blue sky, the poppies are nothing short of a miracle. The magic comes from the Gulf Stream and despite being covered in snow for at least six months of the year, thousands of plants flourish in the botanic garden, a former farm that is a 10-minute walk from the cruise terminal. It’s truly bizarre to go into a greenhouse to cool down, but in Singapore this is a welcome retreat from the humid temperatures outside. The cool-dry Flower Dome, in The Gardens by the Bay, is one of two giant glass and steel biodomes – the other is a misty Cloud Forest, complete with 35-metre ‘mountain’ and waterfall, showcasing plants from tropical regions. The 250-acre site is a dazzling triumph with its fantastical grove of 18 supertrees – man-made futuristic vertical gardens with ferns and climbers clinging to each trunk. The steel supertrees vary from 25 to 50-metres with large canopies to provide welcome shade. The Duke and Duchess of Cambridge planted a Money Tree (Pachira glabra variegata) during their tour of the Far East tour in 2012. Walking on the OCBC Skyway – an aerial stroll through the supertrees offers wonderful views and feels like you are floating on air!